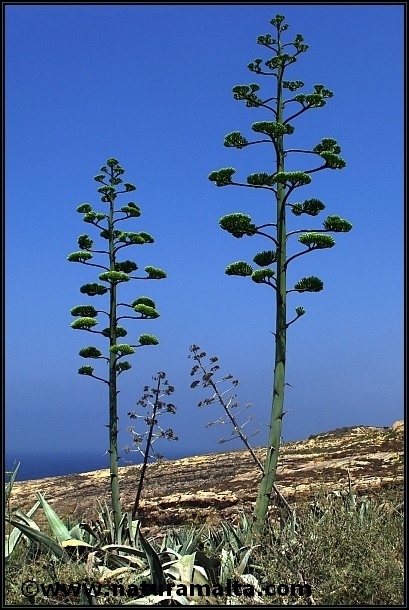 Agave americana is a naturalised plant in Europe. It can grow abundantly in some areas and can easily be seen by its large spike of flowers which can reach several metres in height. It can grow in xeric environment and can live up to 30 years.